A bad season always brings changes, but things aren’t radical for the Minnesota Vikings. 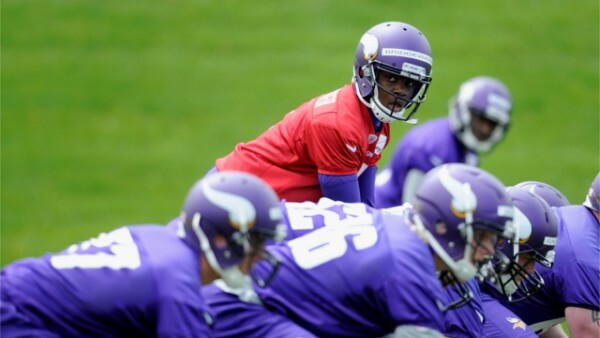 The plan right now seems to be giving the starting quarterback spot to Matt Cassel, while disappointing Christian Ponder and Teddy Bridgewater fill the backup slots. However, things can change radically in a few months between now and the start of the season. Cassel was the least destructive quarterback last season, and while he isn’t exactly the kind of guy franchises feel confident putting their fate in the hands off, he is the most competent guy they’ve got. With a decent offensive line and without injuries, Cassel isn’t a bad player to have for a team without any big aspirations except simply doing better than they did last season. At 5-10-1, that doesn’t set the bar too high. Teddy Bridgewater is a first round pick, but the Vikings aren’t in a rush to throw him into the dangerous current. Bridgewater didn’t seem like the most complete of prospects coming out of college, and it’s going to take time, it seems, for him to show the acceptable level for the Vikings to entrust the team’s present and future in his hands. Ponder? He failed in the many chances he had, but they’re not giving up on him yet. ESPN Vikings reporter Ben Goessling suggests that Mike Zimmer is making it an open competition, which means that somehow Ponder might slip through the back door and find himself starting. However, impressing the coaches with improvement and actually playing better than Cassel are two different things, and unlikely to be frank about Ponder’s chances. Norv Turner likes his quarterbacks and offense to work in a certain way. Christian Ponder isn’t that kind of quarterback right now. Teddy Bridgewater, despite being a rookie, seems to be a better fit in the system that still needs tweaking: Better wide receivers, or at least the kind of receivers who have no problems beating their markers on deep routes. Right now, Cassel is something of a bridge between past and future, but there is a chance that if Bridgewater adapts to the faster and bigger defensive players of the NFL during camp, he might leapfrog everyone. Unlikely as it is, who knows, he might end up starting for the Vikings in week 1.